ITALY. Our favorite country!! 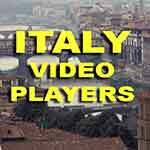 We have hundreds of Italian travel videos for you here. Our vast collection of Italy travel movies will entertain, educate and help plan or re-live your visit to this amazing country. These travel tips will suggest many wonderful destinations. Italy Video Player a special page with several video controllers that enable you select many movies in one convenient place. 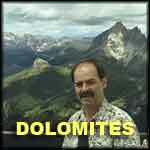 Dolomite Mountains in northern Italy, followed by a visit to Innsbruck where we enter the palace and walk through town. 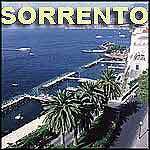 Sorrento pleasant pedestrian zone and a pretty shore lined with swimming alcoves and a small boat marina. Easy access to the Amalfi Coast. 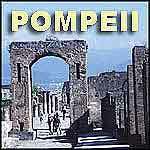 Pompeii is preserved so well it seems it was abandoned only yesterday -- things are still much as they were two thousand years ago before the volcano blew. 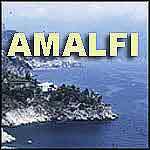 Amalfi ranks among the most picturesque coastlines in the world, stretching south from Sorrento, featuring several hillside villages, especially Positano, clinging to the cliffs. Capri's Blue Grotto, a sea cave with glowing blue water, shining with a brilliant light. 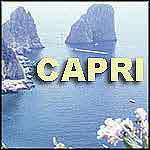 Other sights include the communities of Anacapri, Capri and Marina Grande. Merano is surrounded by mountains in northern Italy, and has a delightful cultural mix of Austrian and Italian due to the complicated history of the Tirol. Bellagio: get on the hydrofoil boat for a ride to Bellagio, one of Italy's most charming hillside villages with narrow staircase lanes and a waterfront promendade. 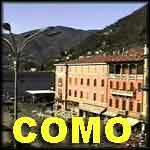 Como: Very quick look in the evening at this city on Lake Como, with a small pedestrian zone, cathedral and cafes, then we leave for Milan. 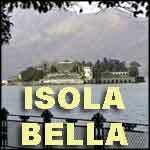 Isola Bella, Lake Maggiore: Stressa is the gateway to several islands, especially Isola Bella, with a beautiful palace and elaborate 17th century gardens. 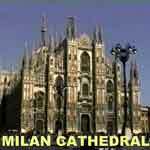 Milan part 1: Metro to the great Gothic cathedral of Milan. Take the elevator to the roof-top sculpture garden for an impressive view, then explore the vast interior. Milan part 2: In the heart of Milan's shopping zone we see the Galleria, high fashion boutiques and models on Via della Spiga. 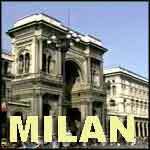 Milan part 3: We tour La Scala opera house, perhaps the world's most famous, then taxi to Sant'Ambrogio, an ancient church first built in the 4th century. 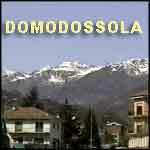 Domodossola: At the northern tip of Italy in the foothills of the Alps you find this small town of Domodossola, gateway to Switzerland. Enjoy scenic train rides. 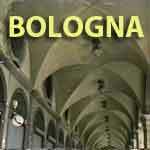 Bologna Famous for historic arcades sheltering 24 miles of sidewalks in downtown, Bologna is rich in architecture, art and cuisine.